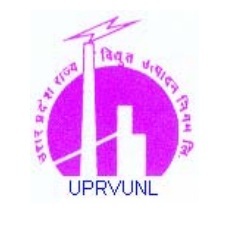 Uttar Pradesh Rajya Vidyut Utpadan Nigam Limited (UPRVUNL) was constituted on dated 25.08.1980 under the Companies' Act 1956 for construction of new thermal power projects in the state sector. The first Thermal Power Station constructed by UPRVUNL was Unchahar Thermal Power Station of 2X210 MW capacity and it was transferred to NTPC on dated 13.02.1992. On dated 14.01.2000, in accordance to U.P. State Electricity Reforms Acts 1999 and operation of U.P. Thorough Knowledge of Hindi in Devnagari Script. If the candidate has not passed High School or equivalent examination in Hindi, he/she has to clear an exam conducted by the Registrar, Departmental Examination Govt. of UP within 3 years of joining. Four Years Bachelor degree in Electrical Engineering/Mechanical Engineering and Electronics Engineering from a University or Institution established by law in Uttar Pradesh or from any other institution recognized by State Govt. 03 Years Diploma examination in Electrical Engineering/Mechanical Engineering/ Electronics Engineering from a institute recognized by the Central/ State Govt./ Legislature. Graduate degree from any recognized University. Typing speed in Hindi or English on computer with 35 or 40 wpm. respectively with knowledge of MS word and MS excel in computer field. The original marksheet along with Degree or provisional certificate shall have to be produced by the candidate at the time of interview, failing which the candidature shall be rejected. The physical application should be duly filled in and be sent by Registered / Speed Post to the following postal address, Incomplete applications, without photo and signature will be rejected. Last date for receipt of physical application form by registered / speed post is 11th March 2013.